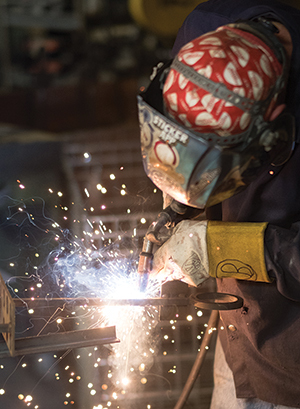 At Quality Fabricated Solutions (QFS), Indianapolis, IN, a fabricated-metal and custom-parts manufacturer, the overarching mission is to deliver on company promises, from producing parts on time to responding quickly when changes arise. 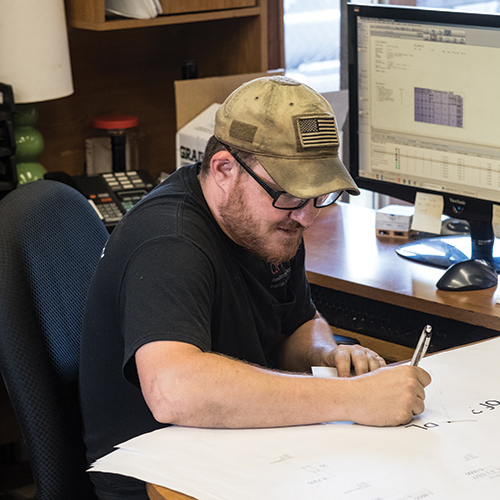 Jobs begin at QFS when operators enter purchase orders into the company’s ERP system, which in turn generates a router with vital job information. QFS sometimes receives customer designs in the form of solid models, which easily import into Radan with geometry intact. Other customers supply designs on paper, which QFS programmers redraw in Radan using the software’s CAD capabilities. 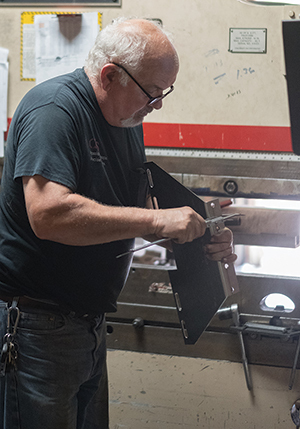 That goal pays off for Powers and his team, which includes two CNC programmers and six shop-floor staff that produce parts primarily for the military sector, as well as for conveyor and tractor-trailer accessory businesses. On its resume of fabrication and metalforming competencies: prototyping and design, laser cutting (on an automated 4-kW CO2 Mazak machine), stamping (110-ton press capacity, on sheetmetal to 12 in. wide, 10-gauge), turret-press punching, press-brake bending (it notes deep-box bending as a specialty), silk screening, welding and assembly. The company recently added new punching capabilities, and will soon add a new press brake to its lineup—an Accurpress model selected in part because of its seamless integration with Radan. To ensure ideal results from nests for laser cutting (shown here), Radan analyzes part shapes, materials and thicknesses for components to be nested on sheets, off-cuts or remnants. Radan’s nest-editing tools provide an additional level of flexibility to users who wish to edit automatically generated nests. It also produces associated data so that shop-floor personnel quickly and easily can identify completed parts. “One of the reasons I went with Accurpress is because it has had success with the Radan offline-programming software for its press-brake controls,” Powers says. 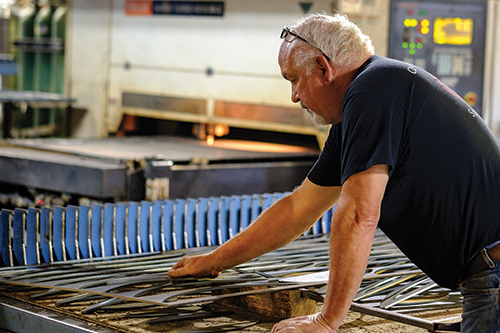 Jobs begin at QFS when operators enter purchase orders into the company’s ERP system, which in turn generates a router, or job traveler, with vital job information. The plant manager then generates a daily manufacturing schedule based on due dates and hands it off to the company’s CNC programmers. QFS sometimes receives customer designs in the form of solid models, which easily import into Radan with geometry intact. Other customers supply designs on paper, which QFS programmers redraw in Radan using the software’s CAD capabilities. QFS programmers generate nests whenever possible, which reduces material costs and manufacturing time. To ensure ideal results, Radan analyzes part shapes, materials and thicknesses for components to be nested on sheets, off-cuts or remnants. The system’s nest-editing tools provide an additional level of flexibility to users wishing to edit automatically generated nests. Radan also produces associated data so that shop-floor personnel quickly and easily can identify completed parts. Count among QFS’ core fabrication competencies press-brake bending (it will soon commission a new Accurpress model due to its seamless integration with Radan’s offline-programming software), as well as arc welding. With customer service at the forefront of his activities, Powers notes that Radan’s nesting capabilities are an asset to be shared with his existing customers, as well as a money-saving bonus that he can use to grow his customer base. “The ability to nest parts allows us to save our customers money, and I typically pass on all of those savings on to the customers,” Powers says. Article provided by Vero Software; www.verosoftware.com. See also: Radan CIM Inc.